Wondering how to get rid of bed bugs? Learn more about bed bug heat treatment and whether or not it’s an effective way to treat an infestation. Bed bugs are parasitic, meaning they feed on the blood of a host, and they can be hard to kill. Mattresses, box springs, carpet and baseboards are hotspots for infestation. Bed bugs can even hide in something as small as nail indentations in the wall. Most bed bug infestations are within a couple meters of their human blood meal host (i.e., your bed). Bed bugs can be a sensitive subject because they gather in places where one may not feel comfortable with traditional treatments or even talking about the infestation, for that matter. 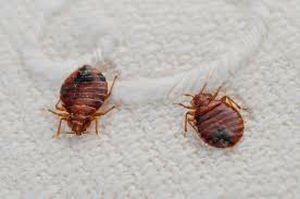 Bed bug heat treatment will be helpful in these situations. The above-mentioned sites along with clothing, briefcases, computer bags and other items that may sit by the bed are good candidates for bed bug heat treatments. Success depends on early detection and correct treatment methodology. Let book a free inspection now. ⟵What kills bed bugs and their eggs? I was examining some of your articles on this internet site and I believe this internet site is real instructive! Keep putting up.